Two weeks ago, my girls and I traveled all the way up North for our Valentine's Day celebration, with the men of our lives of course! 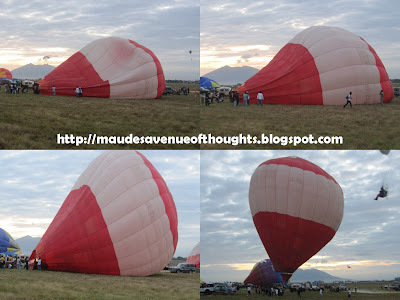 ^_^ We went to the 16th Philippine Hotair Balloon Festival at Clark Field, Pampanga. It was a fun, fun day, and it was extra special because it was Jhay's first getaway with the School of Fish. We left Manila at 12MN because we were told that the Clark Area gets pretty much jampacked by around 4AM. We got there at 2AM, still too early, but there are still folks earlier than us! This is among the day's first few shots -- From left to right: Donz and Nhix, Emil and Jejo, Edmund and Jaq, Jhay and Me! At 4AM, we joined the crowd and waited for the gates to open. They let us in after about 30 minutes. 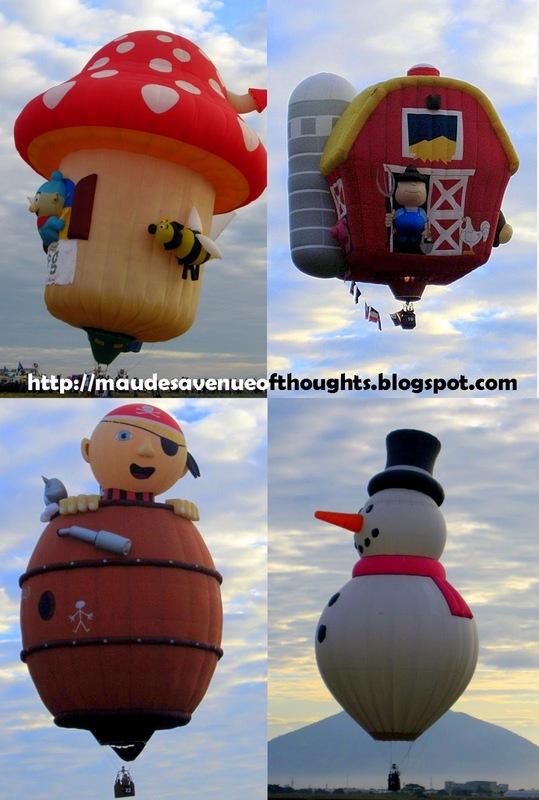 The programme published in various websites said that the balloon flight is at 5:30 AM but by 6AM, they've only just begun filling them with air. I was amazed at the process but I tell you it ain't easy. With the sun rising in the background. When all the balloons were already soaring high, we opted to eat. Finding a table was a real challenge but that's nothing compared to buying from McDonalds. It took Jhay an hour to get a burger meal, 1-pc chicken and a sundae. In fact, our friends were already done eating by then. After our meal, we roamed around a little then went back to the car because it was scorching hot. We had lunch at Kenny Rogers and then it was time for couples' shots. After lunch, some more picture taking followed. oh hi there jerellt! really? small world indeed! i'll mention when i see him again.. sooo.. how did you like his jumpshot? LOL!